Recently the mission has tended to whole families left homeless by rocky economic times. Nearly from the day in 1951 when she entered the mission as bookkeeper and secretary to its founder Jimmy Stroud, she was involved in decision-making and administration for the mission’s programs. She is the founder and director of the Memphis Christian Servicemen’s Center and the 80-acre Victory Valley Bible Conference Grounds, both operated by the mission. She is a frequent speaker at Bible conferences and outreach programs. 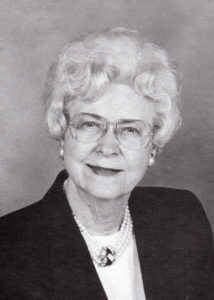 Verla retired in July 1991 and travels frequently as a spiritual and inspirational speaker.